We drove the new Jazz for a comically brief driving experience on the West Short Circuit of the Twin Ring Motegi circuit in Japan. 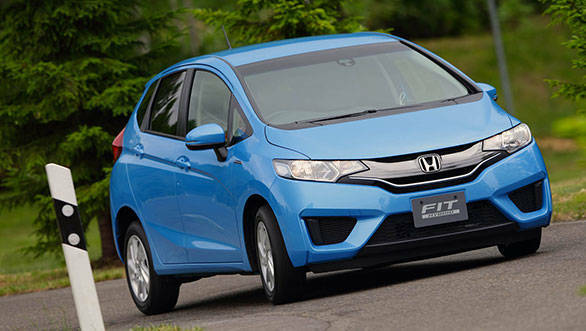 The car is not expected in India before end-2014 or more likely 2015 but like the Jazz, known as Fit in many markets including here in Japan, it remains a deeply impressively hatchback. When Honda originally brought the Jazz to India, it didn't do well. 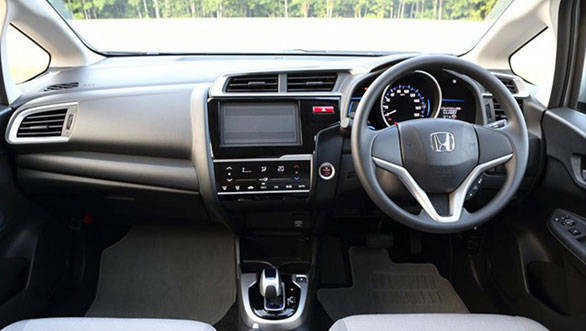 The car may have been appreciated for the interior versatility and space, looks and driving feel but the initial launch price was not something the Indian buying public could stand. But even back then, the Jazz was always rated as among the best hatches in India. And now we have an all-new car to drive today. The third-generation Jazz' story begins with the styling. The mini-MPV silhouette of the previous car has been replaced with a roofline that dips a bit more to the back while the smooth arc from the top of the front windshield to the hood of the old car has been given a bit more definition. 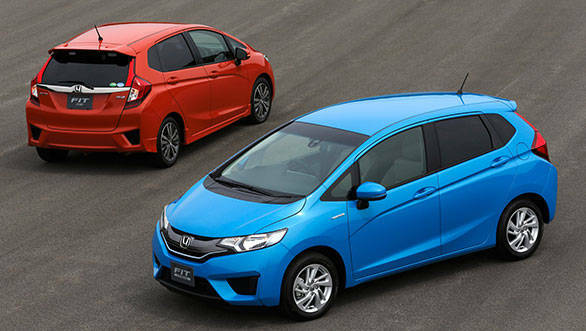 Instead of looking like a monobox hatch, the new Jazz looks a bit more two box. In terms of details, the while front end is new echoing the current Honda front-end styling ethos. The headlights are now stretched horizontally while the Honda badge grows in significance. The huge faux brake vents round out an aggressive face. A Type-R (hint for Honda) with a splitter would look wonderful! At the side, a definition line starts at the front wheel arch and gains strength and importance as it streaks to the well proportioned tail lamps. A second crease below completes the sidebody. 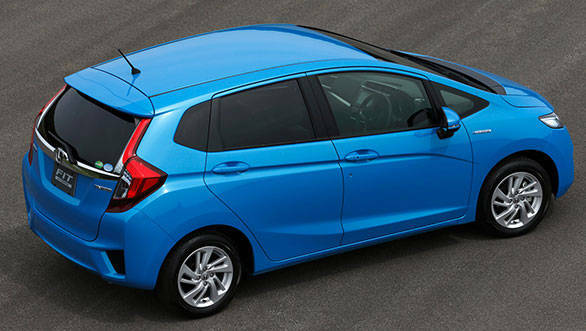 Instead of looking like a monobox hatch, the new Jazz looks a bit more two box. At the back there is a vague hint of the old Jazz but the design is consonant with the new design with sharper lines and another set of equally neat looking vents in the fender. Inside the best bits of old car appear to have been preserved. The seats feel familiar but are now in black and the rear seats offer great knee room and fold up and out of the way for tall loads. With five people in the car the space under the rear bench remains a good place to stash stuff as before. The boot, similarly, feels nice and spacious. What has changed is the dash. The meters are similar but cleaner looking with colour screens displaying information. The centre console on our cars also featured large screens which looked good. What's gone is the passenger side cup holder that used to be directly in front of the AC vent which did actually keep a can of soda cool. A neater, more subtle version is there next to the driver though. We drove the new hybrid version as well as a petrol powered Jazz. The hybrid uses what Honda calls the "one-motor Sport Hybrid i-DCD that starts acceleration in full electric mode. The systems switches been this, hybrid and full engine modes depending on conditions and Honda says it returns 36.4kmpl on the JC08 tests. To drive this car felt responsive and even torquey but the drive was too short to make any further comment. The other engines include the new 1.3-litre petrol which promises 26kmpl on the same JC08 test mode. That startling figure is partly because it runs the Atkinson cycle and that motor is mated to a compact CVT automatic transmission. You can if course opt for the six-speed manual. Also new is a 1.5-litre version with direct injection. The hybrid uses an Atkinson cycle 1.5-litre petrol and incorporates brake energy regeneration (and electric brake servos). The regular 1.5 is what most countries get and it makes the Jazz an effortless hatch to drive whether in traffic and trundling or quickly down a fast highway. Around the corners, as before, the Jazz felt light on its feet and happy to change direction fast. There is some body roll but then again it's a city slicker not a race refugee. The Jazz began its career in 2001 and has sold over 2 million units in Japan alone. It is manufactured today in 10 places and is old in 217 counties. India is, unfortunately, not one of those markets at the moment. 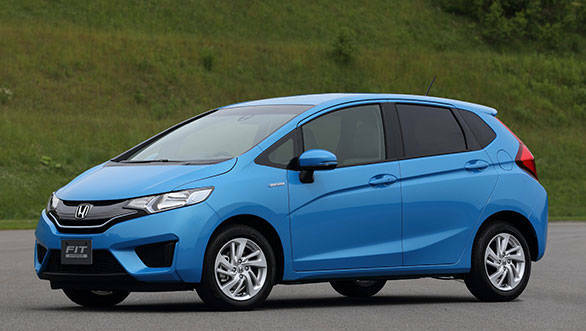 While we would love for Honda to offer us the option of the more expensive 1.5-litre engine, what is more likely is that we will get a refreshed and retuned 1.2-litre engine thanks to the startling wisdom of the finance ministry when it comes to automotive engineering. Also expect a diesel, probably the 1.5 that's headed to the new City and this time pricing that makes you want to own this great little hatchback.